What employees experience in their first few days at an organization determines how successful and happy they are at that organization. Onboarding is not just a process but a multi-sensory experience that extends to the new hire and his/her loved ones. As MICHR, we asked ourselves what an ideal new employee onboarding experience would be and in-turn designed a human-centered experience that set people up for growth and long-term engagement. Onboarding is not just a process but a multi-sensory experience that extends to the new hire and his/her loved ones and ultimately defines their future. To understand what new employees go through when they first start at MICHR, we spent some time generating empathy with some recent starters. We conducted listening sessions, performed bodystorming activities and conducted literature reviews to understand their experiences. Onboarding is an experience not only for the new employee but also for the people around. We spent some time understanding what managers, administrators, team members and families go through when a new employee joins their team through listening sessions and collaborative workshops. We found that all our recent hires had different experiences in their first few days at MICHR. Some had had long drawn out orientations while other had a one day orientation before being straight into work. We consistently heard that starting off at MICHR was overwhelming. There was too much information presented in a very compressed time and it was hard for new employees to retain that information. Unlike most small-medium organizations, MICHR has many different programs and they offer very different services. We heard from both new employees and the people around them that while new employees knew their program well, they did not know enough about MICHR’s other programs and services causing them to miss out on making valuable connections. New employees also told us that while they knew their team members fairly well, they did not know other MICHR employees as well. This lack of social connections manifested into lack of interactions and cross-functional knowledge transfer at MICHR because employees thought an extra second before asking questions or advice from others. Onboarding cannot be left to just one team or group. Onboarding has the most chance of success when the organization shares this responsibility. MICHR liaisons acted as “buddies” to the new employee. They were tasked with guiding a new employee through their onboarding process and helping them settle into their new job. The liaison could be anyone from MICHR who volunteered as long as they were not from the same team as the new employee. A new employee would be out in touch with their liaison before they started at MICHR, giving them an opportunity ask questions and create relationships. Program ambassadors were individuals selected by their teams that would be willing to show and tell the new employee their program and their services. Each new employee would meet face-to-face with all the program ambassadors and learn more about their programs from them along with making further connections. Help new employee orient himself or herself to the University of Michigan, University of Michigan Health System & MICHR. 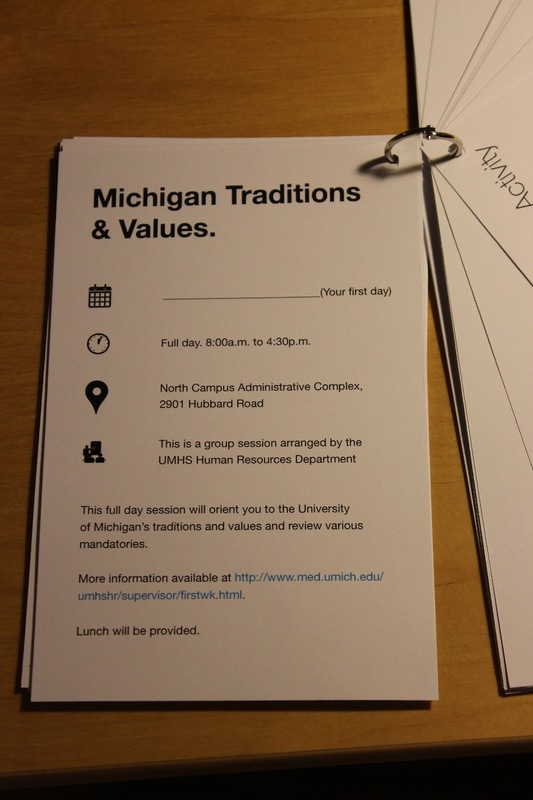 Activities include U-M, UMHS and MICHR orientations, meetings with manager, office manager and introduction with the liaison. Give the new employee the opportunity to meet MICHR's Associate Managing Director and understand MICHR, it's mission and it's vision from him/her. The second week also seemed like a good time to tour our other sites. Help new employee learn more about the units that MICHR collaborates with. This week also affords introducing them at the MICHR All-Staff meeting. This time is about introducing the new employee to all of MICHR's programs & teams. This is done by setting up short (about 30 minutes) meetings with the Program Ambassadors where they introduce the new employee to their teams and show them what they do and how they do it. The meetings are set up by the new employee's liaison. A chance for the new employee to meet their manager and MICHR's Associate Managing director to see how they are feeling and to provide feedback on how the onboarding process has been for them. We realized that while we had designed what we thought was a good experience for our new employees, we did not have something to convey this to them and to get them excited about coming to MICHR. We designed the Onboarding Toolkit to make the onboarding process transparent to everyone and to help new employees know what to do when. 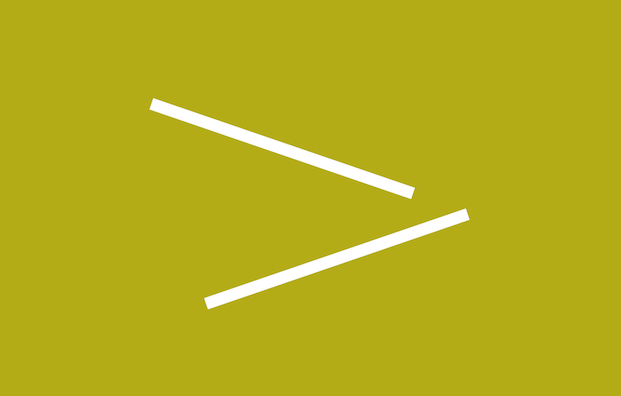 Systems are what make the world go around but it is objects that represent those systems that enthrall us. The toolkit is in the form of a keyring. 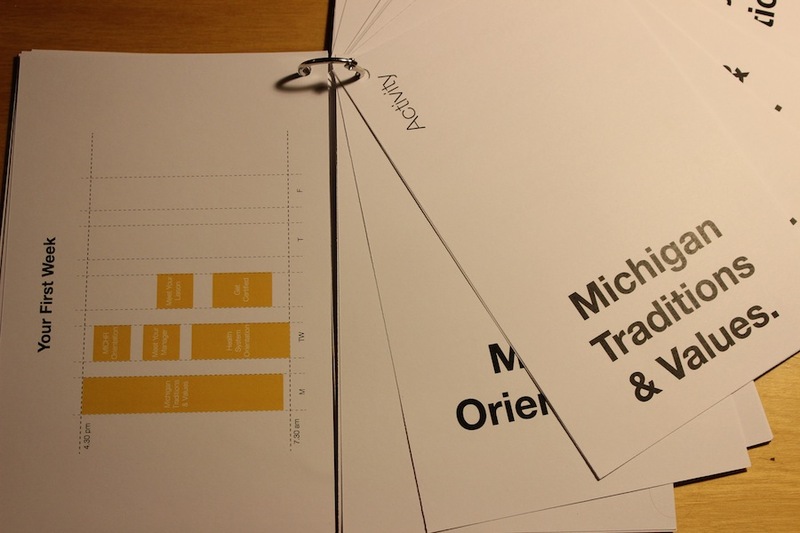 The toolkit gets mailed to the new employees and contains information that can help them prepare for their transition into a new setting. Each card represents an activity. If information about an activity needs to be changed, we just swap out the card for a new one. This makes the toolkit very sustainable. 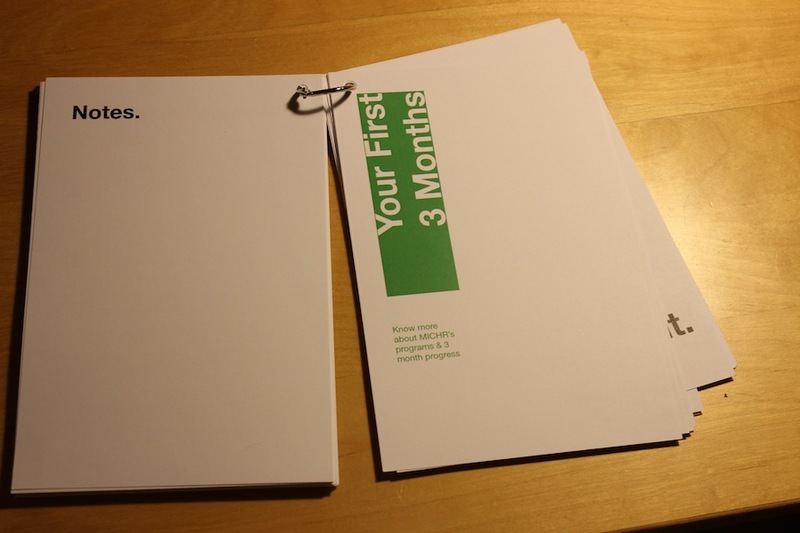 The Onboarding Experience is a long process and the keyring implicitly helps bookmark the stage in process. 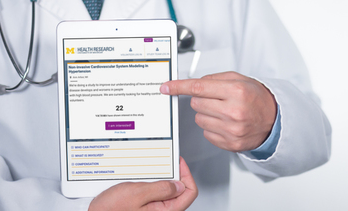 UMHealthResearch is an engaging platform that connects people to health research studies. 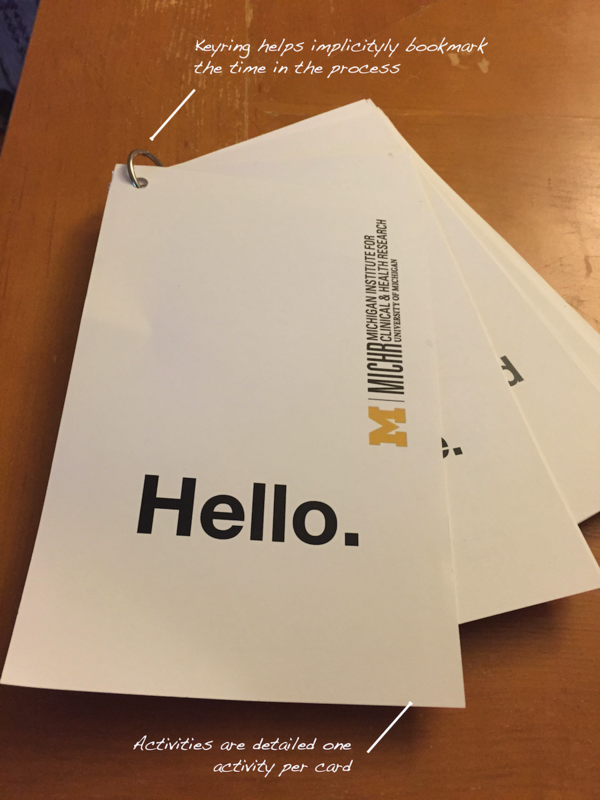 Born at the University of Michigan, the platform is now being adopted by various Universities across the country. The buying funnel is a consumer behavior model that tells us how customers purchase products or services. Adopting the buying funnel as a UX tool for UMHealthResearch lead to 111% increase in volunteer signups. A co-creation session allows you to bring the people that you are designing for into your design process. Here is how we involved MICHR employees in designing their own workspace. 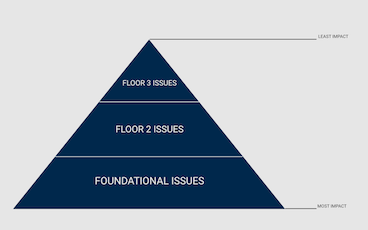 To help translate fuzzy research into tangible priority discussions, we developed The Impact Pyramid — a simple, one-dimensional prioritization framework that focuses on user value. 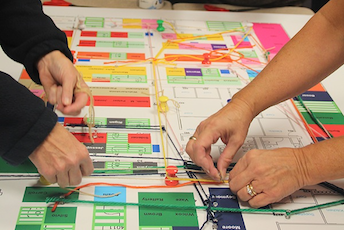 Setting a design direction is a tough ask that needs thinking at the systems level. 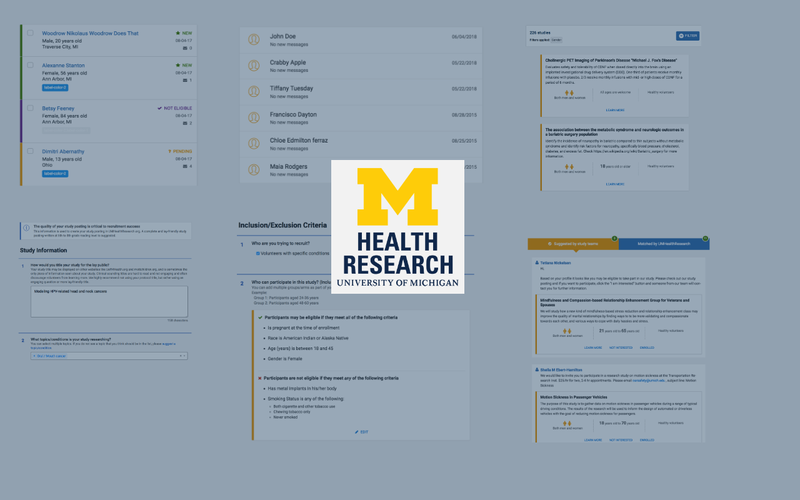 Here is the process we followed to create a robust design system for UMHealthResearch. 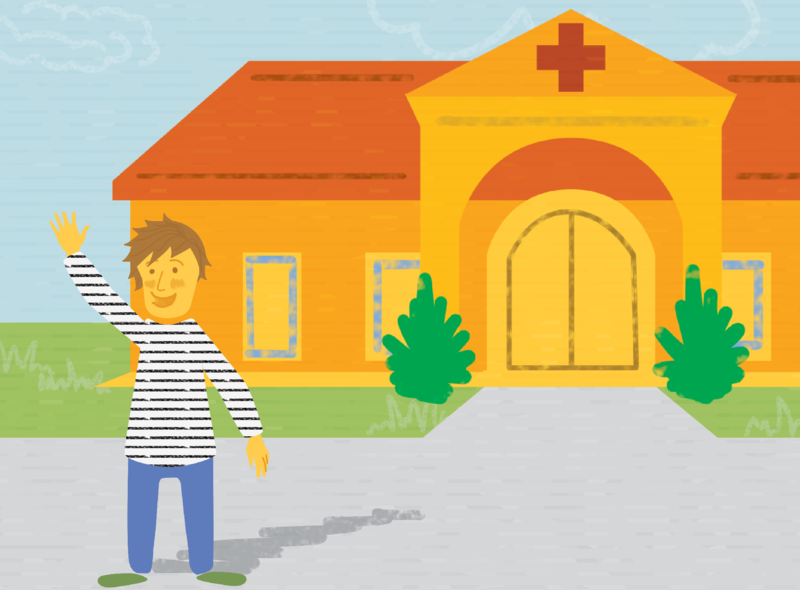 Using Augmented Reality (AR) to improve the research informed consent process for children and their families, in-turn increasing their understanding about health research and improving their patient experience. 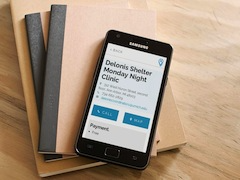 Findcare is a nonprofit that aims to make it easy to find free or sliding-scale clinics near you, learn who they assist, what services they offer, understand where and when they’re open, and how to contact them. 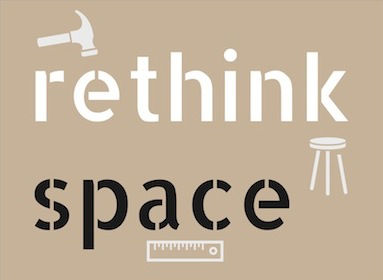 Rethink Space — Creating an innovative, creative, and collaborative workspace. Space matters. We read space like we read people’s faces. Space is an instrument of collaboration and innovation. The ‘Rethink Space’ project was a grounds-up effort to creatively enhance the MICHR operating space. Translational science is hard and requires specialized knowledge, resources and connections. We created a toolkit that helps basic scientists transition smoothly to translational research. 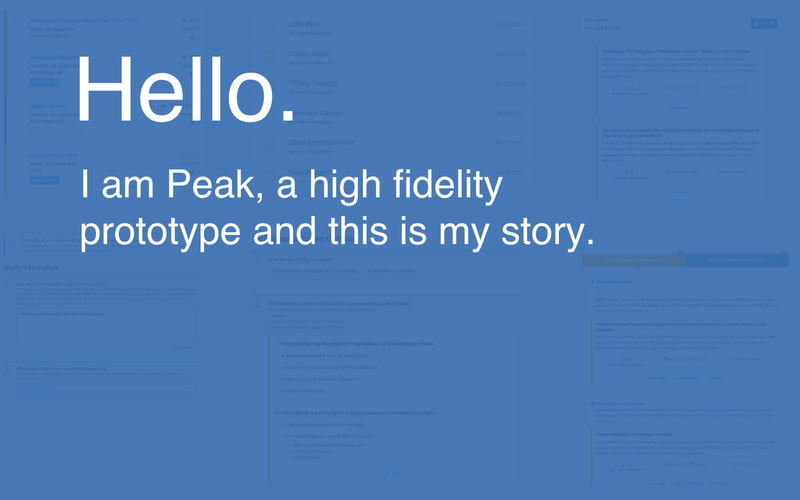 A high-fidelity prototype is most helpful when designing and perfecting micro-interactions. Here is how we built our high-fidelity prototype using W3.js & Airtable. 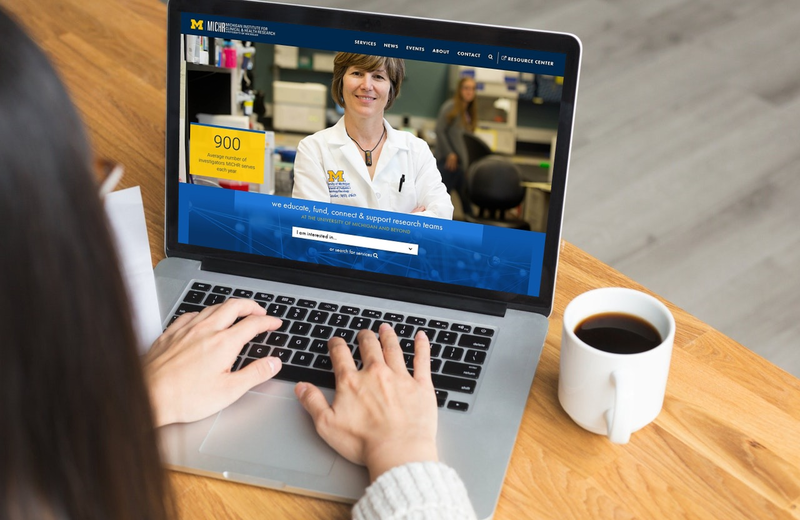 Applying Human-Centered Design to create a user focused website and growth platform for MICHR, the Clinical and Translational Science Institute at U-M.
WellSpringboard allows patients to create and support health research ideas that matter to them. It aims to make patients the true center of the research process.